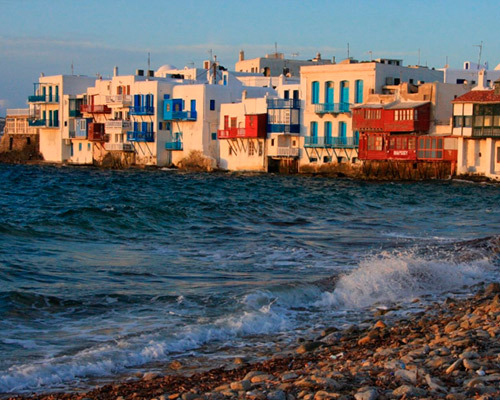 Escape four days to Mykonos, with all the luxury of a 5-star hotel in this destination in the middle of the Aegean Sea. 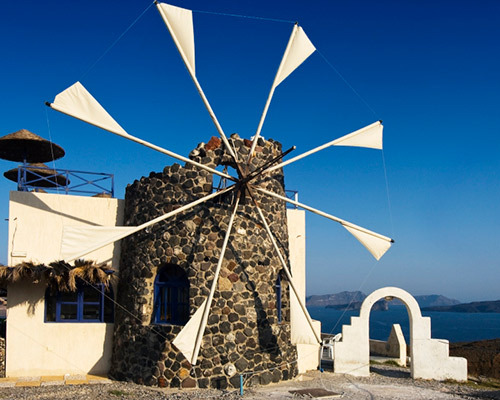 You will be inundated by the blue of the sea, the sky and the white of the most traditional buildings in this area of Greece. Mykonos is a popular tourist destination in the Greek islands of the Cyclades group, situated in the middle of the Aegean Sea. In the 1960s, Mykonos became a bohemian mecca and is now one of the glitziest holiday resorts in the country that happily flaunts its sizzling style and reputation. 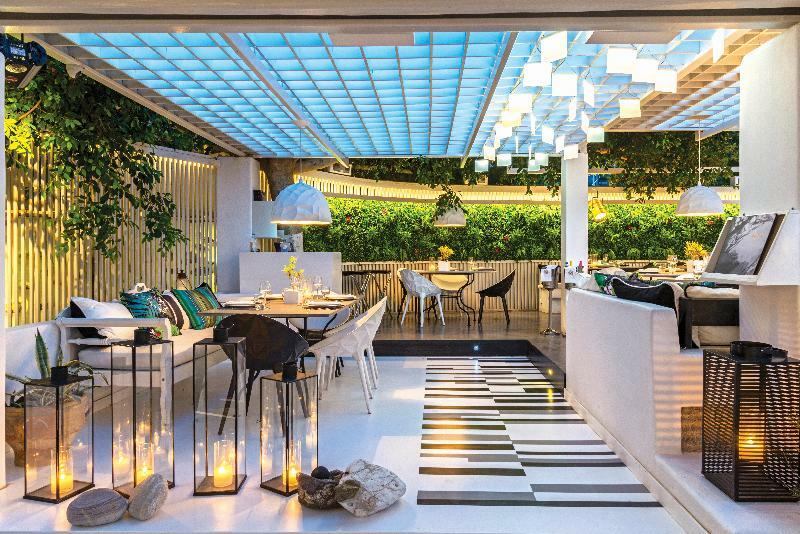 This central Cyclade was for years the premier Mediterranean resort for gay travellers, though recently Mykonos has tried to reinvent itself for a more varied clientele, though nightlife is still very gay-friendly, it is a paradise for any reveller with loud and long nights. Chora or Mykonos town is the main town on the island. It is filled with narrow, winding streets, whitewashed buildings with blue trim, nice restaurants, clothing and jewellery shops, a fish market and a vegetable market. It is one of the most cosmopolitan and crowded towns of the Aegean. Besides Chora, there is only one other town on the island, Ano Mera. Ano Mera is quiter and less touristy. While you are here, visit the Monastery of Panagia Tourliani, a traditional Greek Orthodox Church which has a beautiful iconostas. The island is dry and barren, but there are some fine, sandy beaches, the two most well-known being Paradise and Super Paradise, but there are many other beaches you can seek out around the island. From the charming port, catch a boat out to the beaches or out to Delos, and you will be travelling from the present into the ancient past, from one set of myths to another.